This survey illustrates the factors that are most important among adult U.S. consumers in regards to their healthcare purchasing decisions, as of 2014. 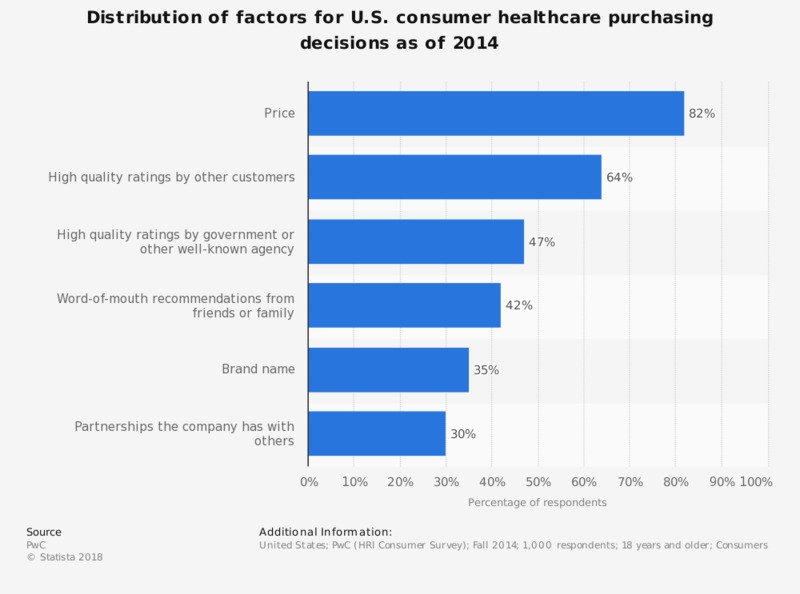 Some 42 percent of consumers reported that word-of-mouth recommendations from friends or family was important in making decisions about purchasing healthcare products or services. The healthcare industry is producing services and products that are available directly to the consumers such as wearable devices and mobile apps that meet patient demand for a more direct access to their own healthcare needs. Which of the following factors are most important when making decisions about purchases of healthcare products or services?